Many writers find it difficult to get their books written. If you are one of them, you may feel passionate about your topic or idea. You may even feel it’s your purpose to write a book and publish it. Yet, you may feel overwhelmed by the whole process. There’s just so much to do, especially if you plan on self-publishing. And there are some things you may not like to do. First, you have to decide if your idea is a good one, which also means a marketable one. You must also decide how you will sell your book to that market. At this point, many writers start feeling a tightening in their chests or queasiness in their stomachs. With the exception of the “idea,” this part of the book writing process is about business and promotion—not about writing and creativity at all. Yuck, right? Next, you get to the fun stuff: You write your book. You actually produce a manuscript! Yay, right? Yes, if you have the discipline to do so and the time to do so. Time becomes more of an issue if you are serious about the business and promotion step, which requires that you build an author platform, or fan base. Typically, this entails blogging, social networking, speaking, writing for publications and guest blogging, obtaining media appearances, etc. If these are not activities you take on willingly, have time for or like, more yuck, right? Third, you get to produce the book. You get to bring your baby into the world! Fun and exciting! For this to actually happen, though, you must hire editors and designers to polish up your prose and create the perfect interior layout and cover. You may need an index, too, if you write nonfiction, and you’ll need a proofreader. If you don’t like handling details, hiring subcontractors and only want to write, this could represent more yuck—especially since you still need to find a printer to actually produce the printed book. If you plan on producing an ebook, you may need someone to convert your document and upload it to an ebook provider. But, I have good news for you! There is a way to get all of this done—the writing, the promotion, and the actual book—without it generating so much yuck and while leaving you tons more time to do what you love: pursue your passion and purpose and write more books. How is that possible? Simple. You blog your book. If you do this, you have more fun, more time, many publishing options, and less yuck. When you blog a book you write it in post-sized bits (250-500 words each sitting) and promote it at the same time. 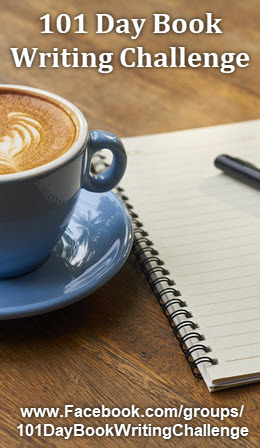 You write in a word processing program and then copy and paste that day’s work into your blog, and hit “publish.” In the process, you create a manuscript and you build a fan base for your new book. Woo hoo! You kill two birds with one stone. You write your book and promote it at the same time. As you continue blogging your book, your fan base will grow. You can, and should, incorporate your blogging efforts with your social networking efforts, but this really shouldn’t take too long. In fact, if you are a reasonably fast writer, it shouldn’t take you more than an hour to write and to publish a post on your blog and then publicize it on at least two social networks. If you do this five days a week, you will have written 2,500 in a week. That’s 10,000 words per month. In 5-6 months, you’ll have produced a 50-60,000 word book. Easy schmeasy! And fun! Even that yucky promotion stuff won’t feel so bad because you’ll be driving readers over to your blog to read your book. The more readers you have each day, the more you’ll want to keep on blogging that book. If you don’t get discovered, you can decide to submit a proposal to an agent or a publisher. Not as exciting, but it could still land you a traditional publishing deal, and this is a good thing if you are one of those people who feels this will benefit you or you don’t want to become an indie publisher. Now, if the details of producing a self-published printed book seem too overwhelming to you, you can turn your blogged book into a digital book, which is less work-intensive. Like any self-published book, you will need to hire an editor and a book cover designer. 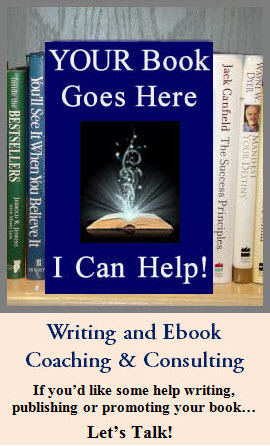 You may also need someone to go through your final manuscript and “convert it” to a format that works for Amazon’s Kindle and for an ebook distribution service, like Smashwords.com. Or, if you don’t want to fuss with all of this, pay a bit and use a service like Bookbaby.com. For a nominal sum they will do all the work for you. They can even produce a print book. If money is an issue, going from blogged book to ebook is a super choice. Make some money with a digital book and later produce your printed book with those proceeds. You can even revise the ebook easily and cheaply. Depending upon how often you post to your blog, you could have your blogged book finished, edited and available for sale as at least a digital book in six months or less. Not too shabby. Not too much yuck. Actually, quite a lot of fun. Nina Amir, Inspiration-to-Creation Coach, inspires people to combine their purpose and passion so they Achieve More Inspired Results. She motivates both writers and non-writers to create publishable and published products, careers as authors and to achieve their goals and fulfill their purpose.